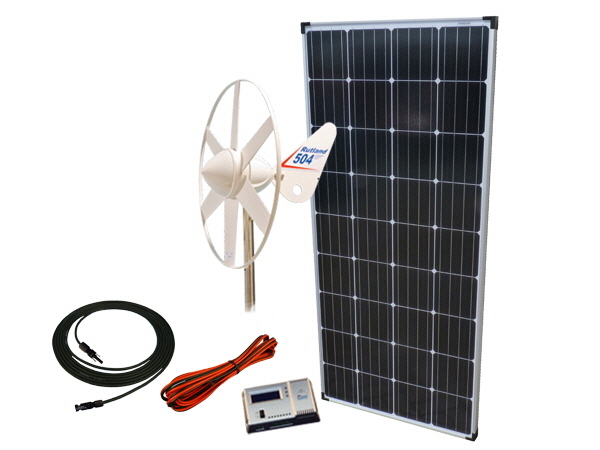 Utilise two natural resources with the Sunshine Solar and Wind Power kit. With a maximum power output of 198W 12V this power kit has numerous uses from motorhome, boats, and caravans to remote location buildings. The HRDi Solar and Windcharger controller supplied with this kit features latest technology for charge regulation of one or two seperate battery banks from small Rutland wind turbines and solar panels.